Do you want to study in a European Country which offers studies in English? Netherland is the Perfect Destination. The Netherlands which is also known as Holland is an English Speaking Country with open-minded, friendly, and tolerant people. Now all most all courses offered by the Netherlands universities are taught in English and Dutch, So Study in Netherlands offers a great flexibility to learn any course. And also the Higher Education in Holland has world class reputation and known for its high quality. 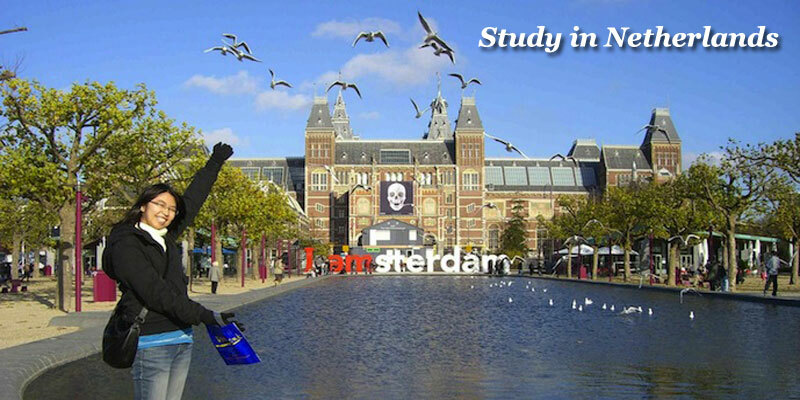 So to complete higher studies in Europe with high standards choose to Study in Netherlands. Though the Institutions in Netherlands offers a quality higher education the Cost of Education in Netherlands is very less. The Netherlands Government provides subsidy on higher education and helps to keep tuition costs below than another study abroad destinations. And the Study in Netherlands is also similar to other popular destinations to study abroad in terms of duration. So Netherlands is the best country to study abroad with less cost in the same duration as other countries. The Dutch people are also a welcoming and open minded people. 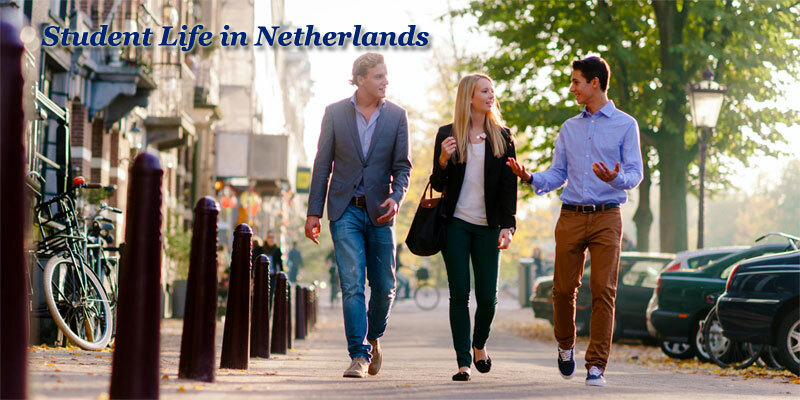 You can also see diverse cultures while studying in Netherlands. By studying in this multi culture environment you can make friends from various cultures and can learn new languages which will be more fun as well as interesting. Netherlands also has Schengen Visa facility, so you can roam around the Europe (Schengen area only) without any Visa. With all these reasons Netherlands has become popular study destination in Europe. Before going to study in Netherlands, it is common to know the Dutch Culture, Education System, The Cost of Studies, Application Process etc., For the Students who are planning to attend Masters at Holland Universities we have provided the Detailed Information about Netherlands Education. So check complete details of Education in Netherlands and plan your abroad career. The Netherlands is a country located in northwestern Europe. It is known for a flat landscape of canals, windmills, tulip fields, and cycling routes. And the Netherlands is also the first non-native English speaking country to offer courses taught in English to international students. Though it is a small country in terms of area, it is second largest in population. Beyond its traditional associations, Netherlands is one of the most developed and wealthy nations in the world. There is a lot to do and see in the Netherlands. The Capital City of Netherlands is home to the Rijksmuseum, Van Gogh Museum and the house where Jewish diarist Anne Frank hid during WWII. So while studying in Holland you can travel to all these places in your term breaks. The Transport links offered by the Netherlands are also excellent. 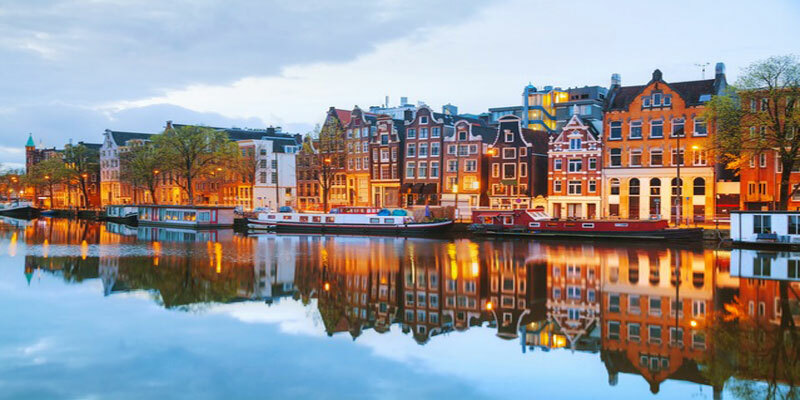 Not only in Netherlands you can also roam around other popular sight-seeing destinations in European Countries at a low cost during your time there. The Higher Education System in Netherlands primarily consists of three types of institutions. They are Research Universities, Universities of Applied Science and Institutes for International Education. Each of these Institutions offers a unique Education Services to its Students, certain levels of degree are available from each institution type. Where the Bachelors is offered by the Research Universities and Universities of Applied Sciences, and Masters is available at all types of Institutions. Whereas PhDs are available at Research Universities only. The Duration of the studies varies from course to course. It takes 3 to 4 years for Bachelors Degree (BA, BSc, B.Eng), 1 to 2 years for Masters Degree (MA, MSc, MEng) and 4 years for Ph.D. Program. Compared to Other European Countries the the Cost of Education in Netherlands is less. The Holland Government provides Subsidy on Higher Education. The national system of legal regulation and quality assurance maintains the guaranteed standard of higher education in Netherlands. So by Studying in Netherlands you can get a quality education at a world reputed universities. The reason why the students love to study in Netherlands is its rich cultural heritage and professional educational institutions. While going to the European countries most of the Indian Students may feel that they would have the language barrier. But It is not the case in Netherlands. Because English is widely spoken amongst locals in Netherlands and they are very welcoming & Friendly too. So the students studying in Netherlands will net face any language problems. There is plenty to see in Netherlands. You can make a trip with friends to see the canals, lakes, Beaches and the Beauty of the city with woods and dunes while you are having a Leisure time. The Amsterdam City also famous for Night Clubs, Major international music stars regularly play at Dutch stadiums and smaller venues. And nearly 1000 Museums are there in Dutch cities so there is a lot to discover in Netherlands. And coming to the Universities, Each Institution in Netherlands has a network of association. The Educational institutions bring students together for academic activities, sports, and recreation through these associations. The Students of these Institutions only run these associations, and among those associations, some internationally oriented associations are also there. The Netherlands is a home to one of the oldest and most highly respected higher education system in the world. There are plenty of educational institutions are available at Netherlands. And these Dutch Universities offer nearly 2100 International Study Programs to the International Students. The Netherland Universities offer these English Language Courses at high quality with relatively favorable tuition rates. According to the QS World University Rankings 2016-17, Thirteen Netherland Universities are ranked in the world’s top 350, and an impressive eight of these are placed in the global top 150. So Students planning to study in Netherlands can choose any of these top ranked universities to get the quality higher education. 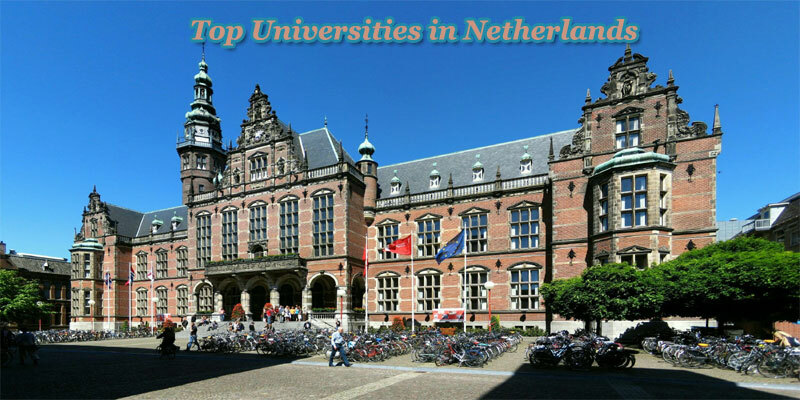 Here we have provided the List of Top Ranked Universities in Netherlands based on world university rankings. These University rankings help students to compare quality higher education institutions and to identify the best universities worldwide. Delft University of Technology (TU Delft). 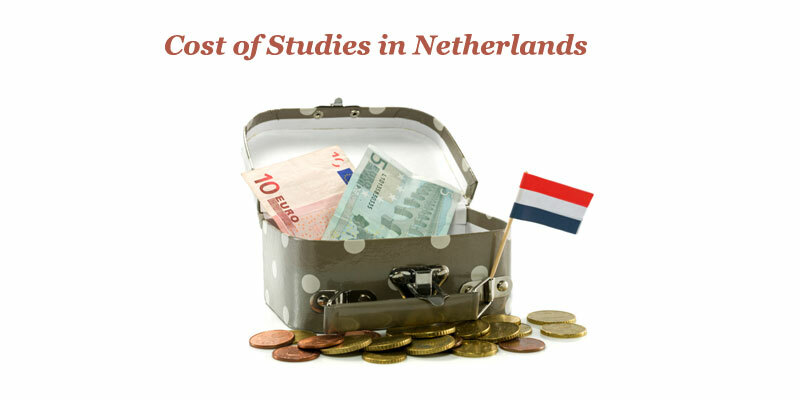 Though the Currency of the Netherlands is Euro (€), The Cost of Studies in Netherlands is not expensive as you expected. The Expected Cost of Studies is €800-€1,100 approximately per month for student lifestyle. Furthermore, the Netherlands Universities offering subsidy on Tuition Fee also. And you should also consider accommodation and Living, and Travel expenses while Studying in Netherlands. Holland Government also offering discounts for Students on many leisure activities and transport costs. By Buying a discount card for rail travel you can reduce your transportation costs. By Splitting your expenses into 3 equal parts such as 1/3 on housing, 1/3 on food and sustenance, 1/3 on transport, leisure and study materials you can manage expenses well. And to reduce Burden on International Students Netherlands Universities are also offering Scholarships and Grants on Variety of Courses and student nationalities. To Know the Scholarships details you can check the concerned university websites. If you have a valid school leaving certificate and qualify for higher education studies in your home country or if you have successfully completed upper secondary studies in one of the signatory countries of the Lisbon Convention you are eligible to pursue higher education in Netherlands. However, you need to prove your level of Dutch and/or English depends on the study program you have applied is Dutch/English. In some cases, you are also required to take additional qualifying courses. As most of the Universities offering Study Programs in English you can apply for the study program or course taught in English by proving your level of command in English by presenting the results you have received in English Language Tests like IELTS, TOEFL. To Get Admission you need an IELTS Score of at least 6 and a TOEFL Score of at least 550 (Paper Based) or 213 (Computer Based) or 79-80 Internet Based. Other English Tests may also have been accepted by the Holland Universities. So contact the university to know the complete details about tests. 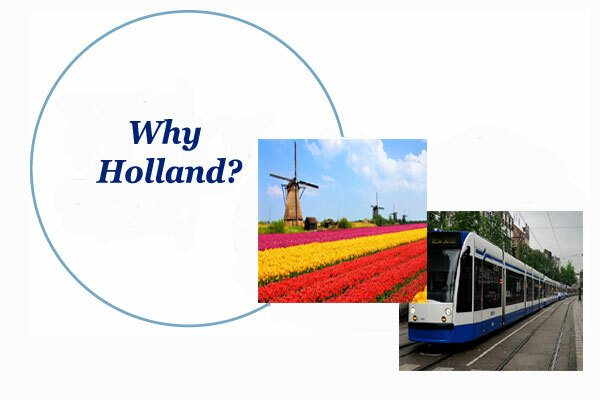 There are plenty of reasons why students abroad prefer to study in Netherlands. It is a home for Quality Higher Education Institutions in the World. By Joining in various courses in one of the Universities in Holland the International Students can get the below mentioned benefits. It has Century old & Globally recognized universities with experienced faculties. Erasmus, Bologna & Double degree programs available. You can Study in Govt. universities with updated syllabus. Subsidy on Tuition Fee is available. Scholarships & Special Discounts are available to the International Students on Transporation, Food, etc. You can study in English, Dutch Universities offer Study Programs in English. No Language Barrier, English is widely used in Netherland. You can get an Internationally recognized Degree with the Innovative education system. 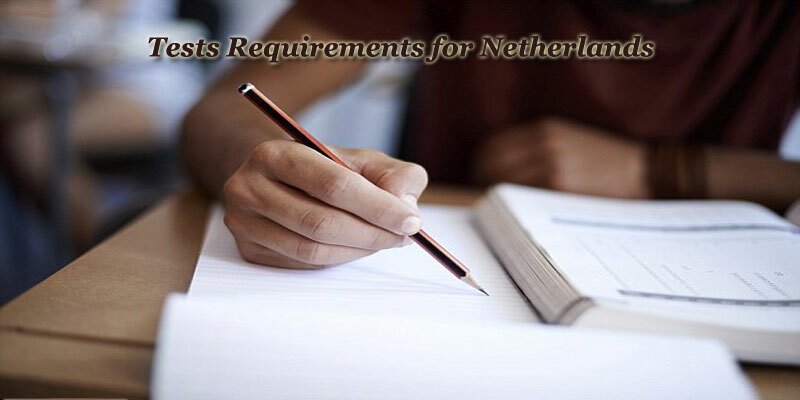 To get the Admission in Holland Universities Candidates should meet the admission standards of that particular University. 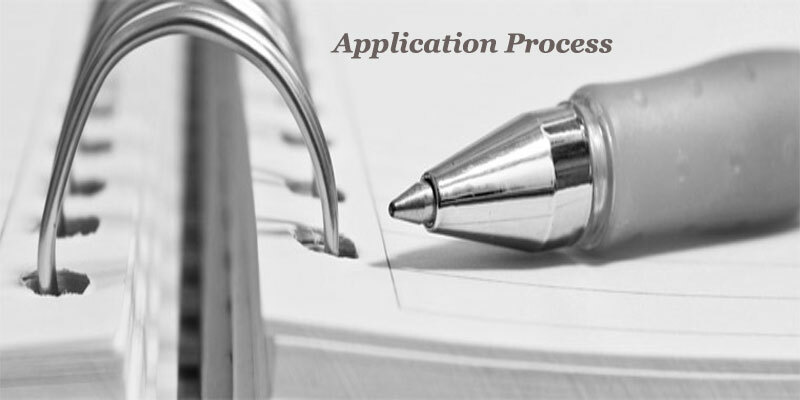 The Application Process for Universities in Netherlands is also same as other Countries. But there are some important steps that you need to go through while applying to the Universities in Netherlands. First, choose the University and preferred course.